Horizontal design, for a space-saving installation. 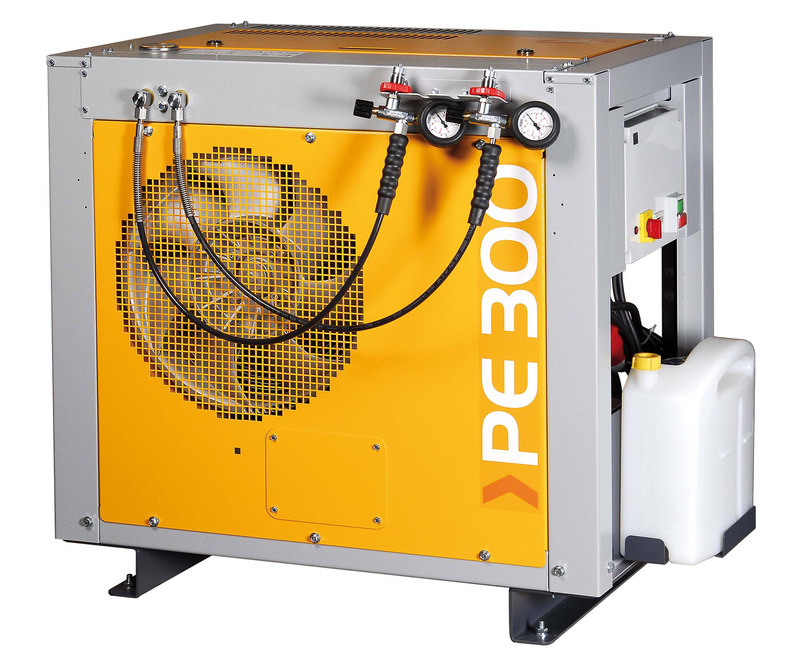 The PE 250 / 300 HE horizontal models are by far the most compact high pressure breathing air compressors in their class. Due to the space-saving arrangement of block and drive, the HE range requires a minimum of floor space although offering high capacities.